Well, that is really simple and clever and attractive. Like usual! 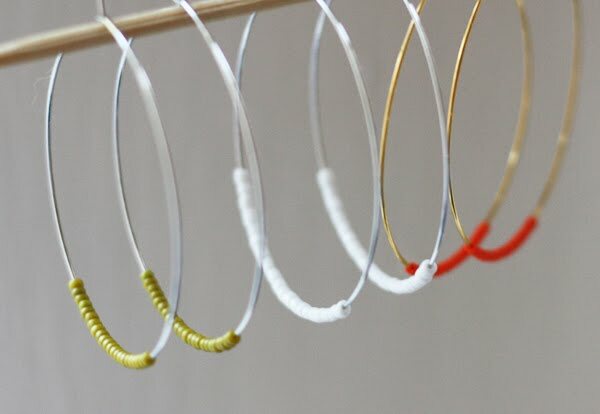 and if you get small hoops, you can use them as wine glass charms, too! Love this idea! What a perfect gift to give friends during the holidays. You know I read your blog just to see your mum's adorable comments! This is a great idea and I know my almost 14 y.o. daughter is going to love it. I pay Mum money to comment on here. Just kidding. I don't think I could stop her if I tried. Hmmm... maybe since I'm so popular, you SHOULD pay me! How 'bout that idea? Huh??? wow, these ear rings are gorgeous. i love them! Mum, I pay you in fun. Isn't that enough? Knew you'd love this - guess it shows how much I read your blog! What a super cute and easy idea! Raspberry, I do like it! Thanks! Neat idea! Along w/ the gift tags...must do this for a ladies clothing swap we're doing next month. Also, I see a ton of these on ebay pretty cheap! 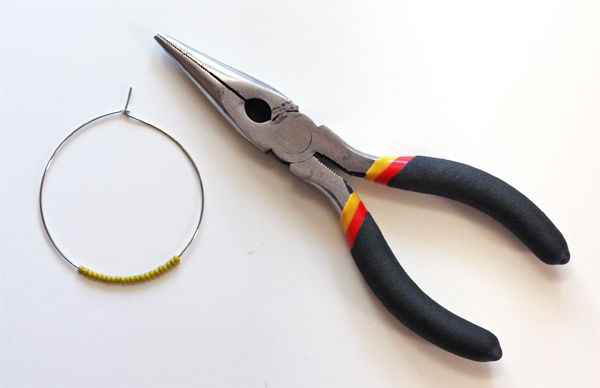 my beads doesn't fit my hoop , what am i to do? 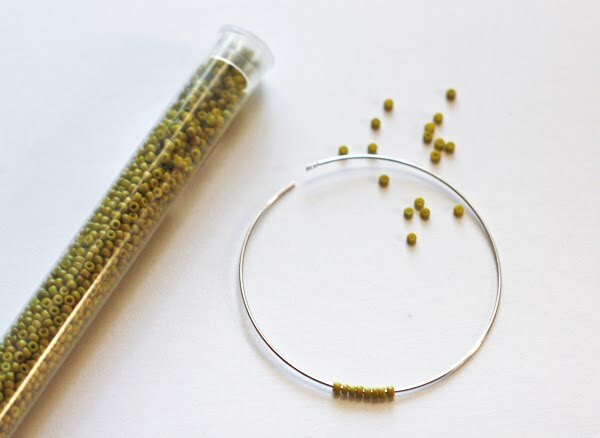 Get beads with larger holes, or get thinner hoops. Great idea! I would love to make some. I got beads here, so I just need to get wire hoops. And do you need nothing else to put it in your ear and close it? I don't use anything else. But if you wanted to, there are little silver or gold posts with a tiny loop at the bottom that you could put the hoop through. Example here. I prefer the look of just the hoop going through my ear, though. Oops, that link didn't work. Try this. 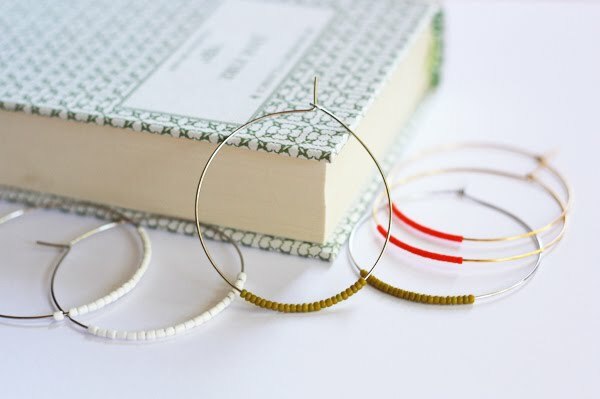 I just had a question...I've looked for plain wire hoops to no avail. Did you happen to use memory wire? Or did anyone try that? I'm so excited to give this a try! I don't know what memory wire is. I just bought the hoops. Good luck! Brooke - Memory wire works great! I make several pairs over Christmas and they all looked fantastic.